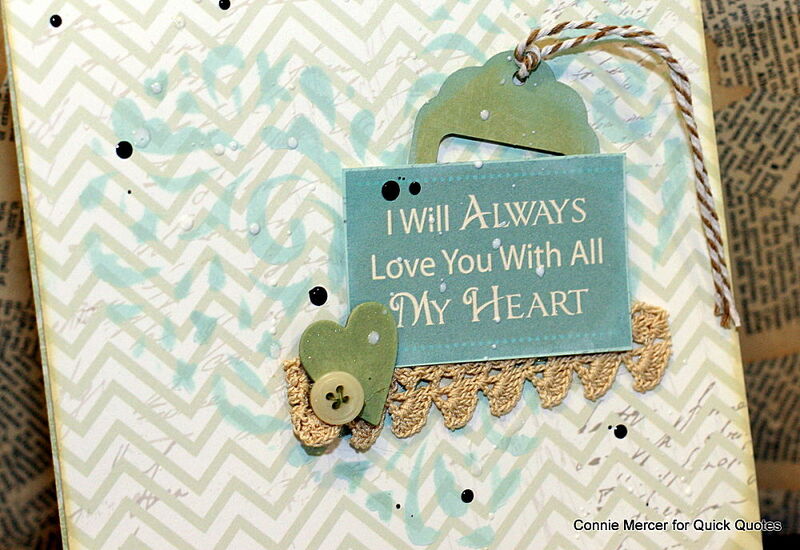 Hi, Connie here with a card using the new PowderPuff Chalk Inks by Quick Quotes. If you haven't checked out the new 2016 colors you can find them here. They are gorgeous!!! I used a stencil to create the heart for the background of the card. The Seabrook PowderPuff Chalk Ink was perfect, just a hint of blue. I added some vintage trim with the quote card. The embellishments were clustered in the center. The last thing, I sprayed a little black mist on the card. 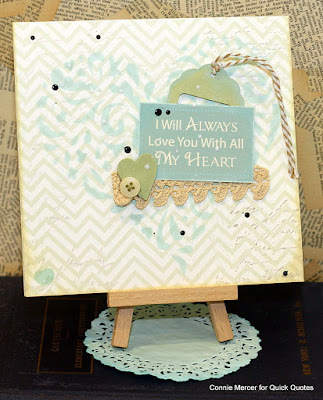 You made a sweet card with a very thoughtful saying..I like the colors you used for this and with the lace..Looks like alot of fun products. Adore Quick Quotes company and there awesome products..
precious! so soft and sweet!